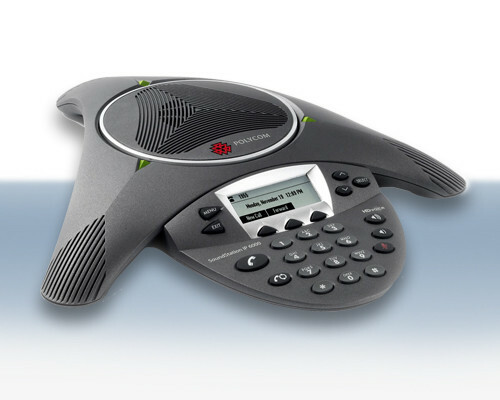 Polycom soundstation conference phone Dubai has high quality speakerphone.The Polycom SoundStation IP 6000 features Polycom HD Voice technology, boosting productivity and reducing listener fatigue by turning ordinary conference calls into crystal-clear interactive conversations. The polycom SoundStation2 offers 360- degree microphone coverage with intelligent mixing so the microphone closest to the speaker is on for conferencing.The Polycom SoundStation IP 7000 features Polycom HD Voice technology, boosting productivity.The Polycom SoundStation IP 5000 conference phone delivers clear conference calls for small conference rooms and executive offices. Polycom Soundstation conference phone duo conference phone is the best conference system in the world. The SIP IP-Based IP Conference Phone Astounding voice quality and clarity from the world’s most advanced IP conference phone. The Polycom SoundStation ip 7000 is a breakthrough conference phone that delivers outstanding performance and a robust feature set for SIP-based VoIP platforms. It is the most advanced conference phone ever developed. This is ideal for executive offices, conference rooms, and boardrooms. The reducing listener fatigue by turning ordinary conference calls into crystal-clear interactive conversation. It delivers high-fidelity audio from 160 Hz to 22 kHz. For all conference calls, the Polycom SoundStation IP 7000 delivers advanced audio performance that exceeds previous generations of conference phones. From full-duplex technology that eliminates distracting drop-outs to the latest echo cancellation advancements, Polycom can deliver a conference phone experience with no compromises. SIP-based IP conference phone designed for small to midsize rooms. The Polycom SoundStation IP 6000 is an advanced IP conference phone that delivers superior performance for small to midsize conference rooms. 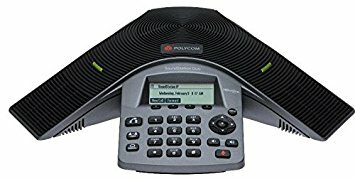 With advanced features, broad SIP and remarkable voice quality, the Polycom SoundStation IP 6000 offers a price/performance breakthrough for SIP-enabled IP environments.It delivers high-fidelity audio from 220 Hz to 14 kHz, capturing both the deeper lows and higher frequencies of the human voice for conference calls that sound as natural. 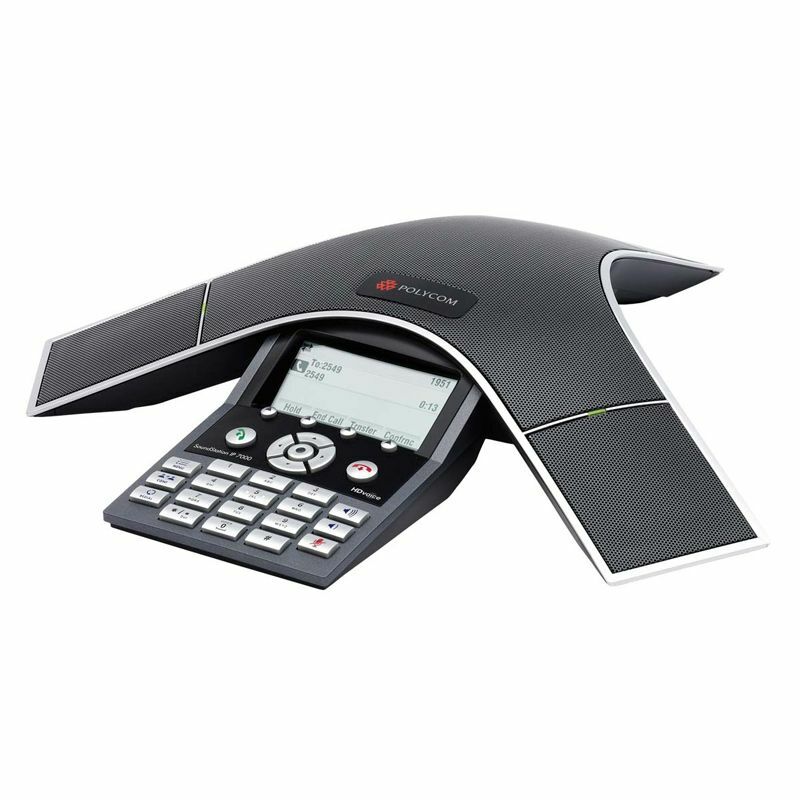 It features Polycom HD Voice technology, broad SIP interoperability, and a modern design. That is ideal for smaller rooms all at an affordable price. With Polycom HD Voice technology, the Polycom SoundStation IP 5000 conference phone boosts productivity and reduces listener fatigue by turning ordinary conference calls into crystal-clear, interactive conversations. The obvious choice for group audio conferencing. Large company or small, thousands of conference rooms or one, you have a need to bring dispersed teams, business partners, and customers to communicate and collaborate. 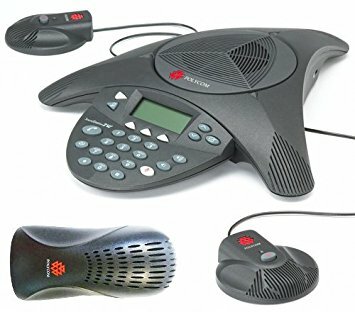 Conference phones from Polycom have become the de facto standard for connecting groups of people across multiple locations. With the Polycom SoundStation Duo conference phone, Polycom has taken the concepts of group productivity tool and standard office workhorse to a new level for small to midsize rooms, delivering the ultimate in deployment ease of use, and audio quality. 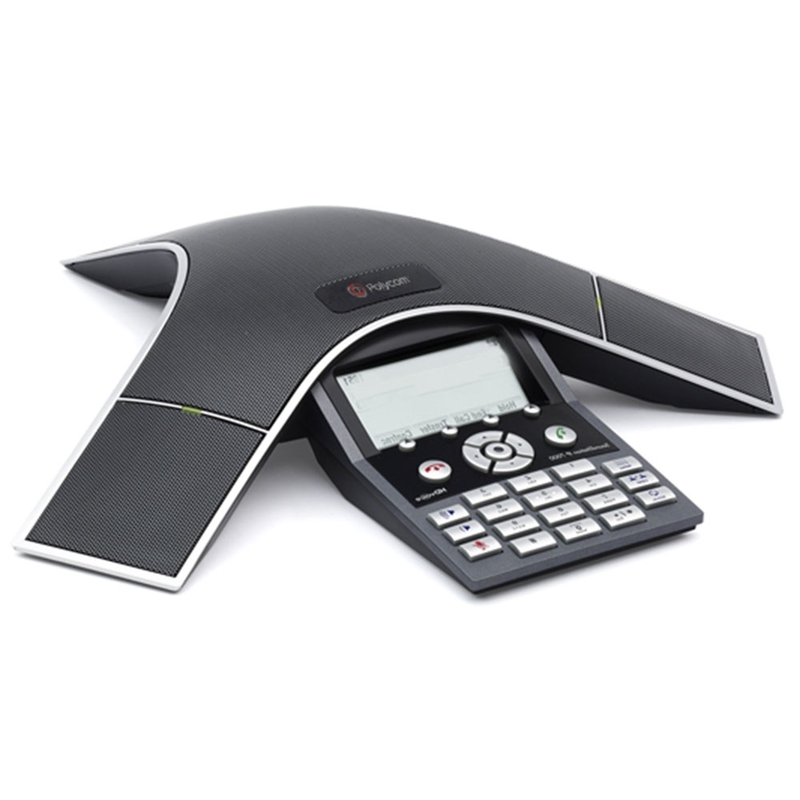 The Polycom SoundStation2, Polycom conference phone, define the standard for business quality voice conferencing. With industry-leading full duplex for natural, simultaneous two-way conversation. The Polycom SoundStation2 in Dubai, UAE will exceed your expectations in medium to small conference rooms. Delivering remarkable voice quality equal to the SoundStation. Premier and a 50% increase in microphone sensitivity over the award winning SoundStation. Users can speak in a normal voice and hear to ten feet away making every call a productive call.You’ll enjoy new features, including a large backlit display. That offers visible call information and telephone functions. Smart technology, such as Dynamic Noise Reduction, provides maximum microphone sensitivity.It will reduce distracting room and background noise. Add traditional telephone features like redial, mute, transfer, and hold and you have a conference phone that’s familiar and easy to use. Acepaq deal polycom soundstation conference phones in Abu Dhabi – Muscat – Riyadh – Dammam – Doha – Kuwait – Manama – Bahrain – Saudi Arabia – Baghdad – Sana’a – Cairo – Beirut – Kabul – Khartoum – Nairobi – Kenya – Costa Rica – Croatia – Czech Republic – Cuba – Cyprus – Iraq – Algeria – Morocco – Egypt – Nigeria. For more information about Soundstation visit www.polycom.com. 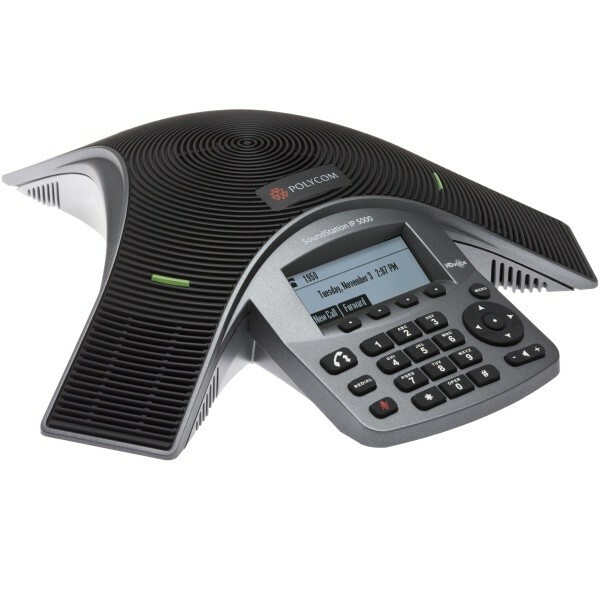 Our other devices are Polycom VoiceStation, Polycom Trio, Polycom VoxBox and Polycom VVX telephones.